This is the absolute BEST beef roast I’ve ever had! 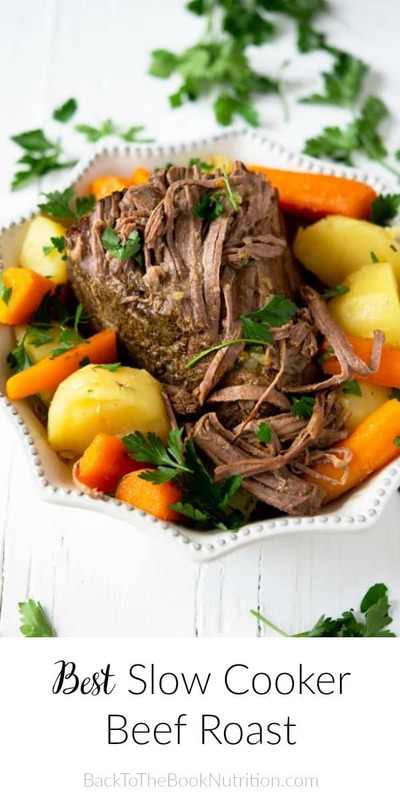 A healthy take on the famous slow cooker Mississippi Roast, this easy comfort food recipe has only four real food ingredients – no dried gravy mixes or packaged seasonings. So apparently there’s this thing called the Mississippi Roast. It’s a Sunday dinner recipe from a church cookbook in Mississippi that was shared online and has gone completely viral. New York Times, Good Morning America, the whole nine. I love a good comfort food recipe, and I really love the ones I can make in the Crock Pot. 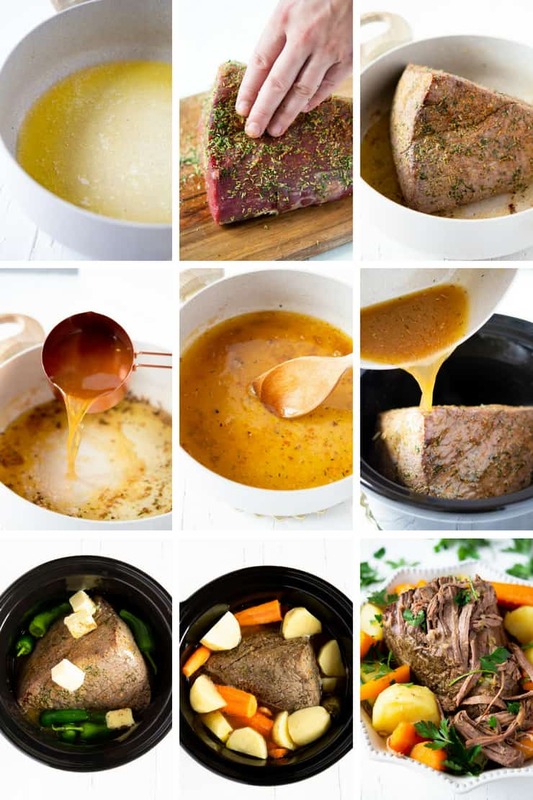 But the original Mississippi Roast recipe calls for packets of Au Jus gravy mix and Ranch seasoning mix, which are loaded with unhealthy ingredients like corn syrup, MSG, and partially hydrogenated oils. No thanks. So I set out to make a healthier, real food version…and it’s AMAZING! Transfer the browned roast to the slow cooker. Pour beef stock into the saute pan and stir with a wooden spoon to get all those delicious brown bits. Pour the stock over the roast in the slow cooker. Place remaining 4 Tbsp butter on top of the roast. If using Pepperoncini peppers, place them around the roast in the slow cooker. Cook on low for 8 hrs (or high for 2 hrs, then on low for 4 hrs). If using potatoes and carrots, add them during the last 4 hours of cooking. To serve, ladle the juices over the roast and sprinkle with parsley. Store leftovers in the fridge – makes great roast sandwiches the next day! 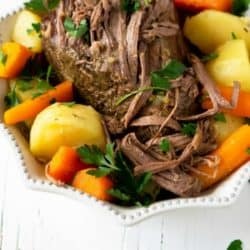 I’ve substituted a few cleaner, whole food ingredients in my healthier pot roast recipe to preserve all that amazing Mississippi Roast flavor without all the processed junk. Ingredients: Salt, Modified Food Starch, Lactose (Milk), Hydrolyzed Protein (Wheat, Soy, Corn), Corn Syrup Solids, Autolyzed Yeast Extract, Onion Powder, Caramel Color, Natural Flavors (Beef And Pork), Partially Hydrogenated Vegetable Oil (Cottonseed And Soybean), Citric Acid, Molasses Powder, Disodium Guanylate, Disodium Inosinate. Ingredients: Salt, Monosodium Glutamate, Dried Garlic, Modified Food Starch, Dried Onion, Maltodextrin, Spices, Less than 2% of: Guar Gum, Buttermilk, Calcium Stearate, Natural Flavor (soy). Ingredients: Peppers, Water, Distilled Vinegar, Salt, FD&C Yellow No. 5, Sodium Bisulfite Added as a Color Stabilizer. If you don’t have time to brown the roast first, just season it and place it directly into the slow cooker with all 6 Tbsp butter and the stock/broth. You may need to add an extra hour to the cook time. Use homemade beef stock/broth for the best flavor. Store homemade broth in the freeze to use in dishes like this whenever you need it. 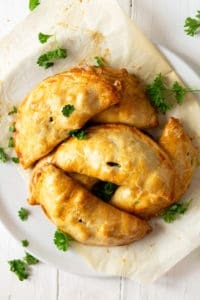 Use the leftovers to make my beef and potato hand pies (cornish pasties) they are so delicious and easy to make or make roast sandwiches with a some horseradish spread on crusty bread. Make sure to use my homemade ranch seasoning, it’s simple, full of flavor and has no nasty additives. This is the absolute BEST beef roast I’ve ever had! 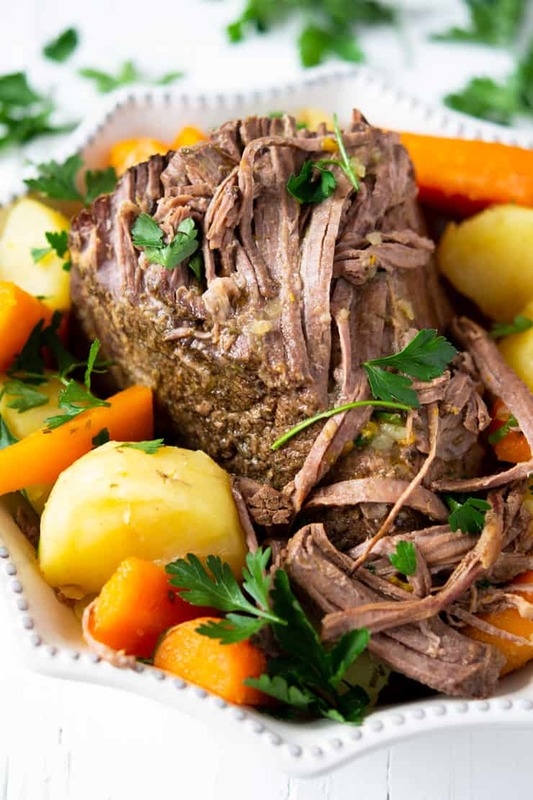 A healthy take on the famous slow cooker Mississippi Roast, this easy recipe has only four real food ingredients – no dried gravy mixes or packaged seasonings. Heat 2 Tbsp butter over medium high heat in a saute pan. Transfer the browned roast to the slow cooker. Pour beef stock into the saute pan and stir with a wooden spoon to get all those delicious brown bits. Pour the stock over the roast in the slow cooker. Place remaining 4 Tbsp butter on top of the roast. If using Pepperoncini peppers, place them around the roast in the slow cooker. Cook on low for 8 hrs (or high for 2 hrs, then on low for 4 hrs). If using potatoes and carrots, add them during the last 4 hours of cooking. To serve, ladle the juices over the roast and sprinkle with parsley. Store leftovers in the fridge - makes great roast sandwiches the next day! *If you don't have time to brown the roast first, just season it and place it directly into the slow cooker with all 6 Tbsp butter and the stock/broth. You may need to add an extra hour to the cook time. Make sure to use my homemade ranch seasoning, it's simple, full of flavor and has no nasty additives. Check out these other favorite comfort food recipes! I cant believe how a photo can capture how tender a roast is like this one this is magnificent! I love the photos and this recipe! It had to be a woman who invented the crock pot or a very busy dad. 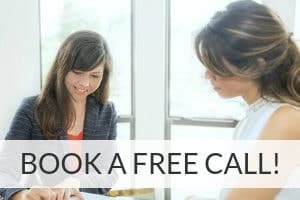 It is a lifesaver in so many ways. Many times cooking a beef roast can be tricky and you end up with a pretty tough piece of meat. Not so with a crock pot. Your seasonings are right on the mark and I like the veggies that you included with it. Yes, I can’t imagine not having one! I love making the roast in a slow cooker. I usually keep it on all night on low and then wake up in the morning to the smell of delicious roast, It sure makes a perfect weekend wake up call. 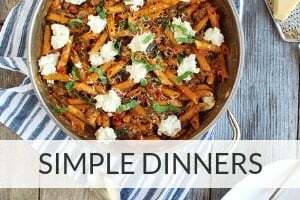 Love how simple this recipe is. Perfect last minute kinda deal. I think a good roast is my favorite dish of all time. We love adding the optional ingredients, like pepperoncinis in ours. This is a fantastic recipe! This is the ultimate fall/winter dish! Total comfort food here and now I’m craving this beautiful roast for the weekend. Cooking meat in slow cooker is always best because it make juicy melt in mouth . 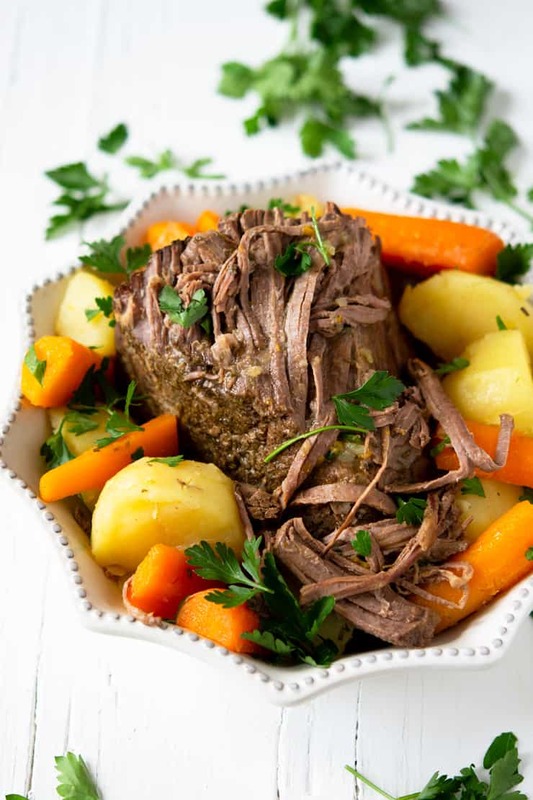 I love your recipe of beef roast great for busy week night dinner.